Until someone solves the problems of range and recharging times, most automakers who currently offer all-electric models face the same problem: convincing buyers to switch to electric from internal combustion engine models. As most EVs offer similar ranges on a full battery and similar charging times, they have to look at other ways of tempting buyers to choose their EV over a rival. Taking an already winning formula and electrifying it isn’t a bad idea, so let’s take a look at the 2017 Kia Soul EV to see how it measures up. Instead of being something overtly different and easily identifiable as an electric car, the 2017 Kia Soul EV looks almost exactly the same as the regular Kia Soul. That’s obviously a good thing because the Soul has already proved extremely popular with buyers because of the way it looks. It’s a boxy shape with a blunt front end, but that does allow plenty of interior space for passengers and cargo. At the heart of the Kia Soul EV is an 81.4 kW electric motor that drives the front wheels, developing 109 horsepower and a pretty impressive 210 lb.-ft. of torque. An air-cooled lithium-ion battery pack sits under the floor of the Soul, and its 27 kWh energy capacity is good for a range on a single charge of 93 miles, according to the EPA. To recharge a fully depleted battery from a standard 120 volt supply takes at least 24 hours, but a specialist 208-240 volt charger gets that down massively to around 4.5 hours. However, as the Soul EV is equipped for it, if you can find a 480 volt fast charger, you’ll be able to whittle that charge time down to less than an hour. While some EVs offer just a single, high-spec, and often expensive trim to buyers, Kia gives you three different versions of the 2017 Soul EV. The first of the three is the Soul EV-e, the mid-range offering is the Soul EV, and the top of the range model is the Soul EV+ (Plus). Unlike some of its rivals, the only thing that separates the three trims are the features and equipment you get because the powertrains and batteries are the same with all models. Base Soul EV models come standard with features that include heated front seats and heated leather-wrapped steering wheel, a 3.5-inch OLED instrument cluster, keyless ignition, cruise control, rear-camera display, a driver-only ventilation function and an illuminated AUX/USB port. The other models give you increasingly impressive options, everything from an 8-inch touchscreen to a specialty climate control system to leather seats. 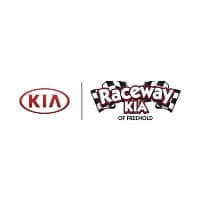 The EV+ offers buyers the best that the Kia Soul can offer. You’ll see it from the outide, with 16-inch alloy wheels, power mirrors, fog lights, and a specialized front fascia to accommodate charging but that also gives this model a unique look. Inside, you’ll find an 8-inch touchscreen, leather heated and ventilated seats, and a heat pump air conditioning and heating system. Bright and futuristic, with metal accents, the streamlined console offers easy access to touchscreen and manual controls. Riding alone? 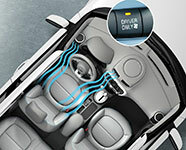 Don’t waste the A/C–switch to driver-only climate control and opt for a new way to stay comfortable. Your Smart Key lets you start your Soul EV with the push of a button. See where you’re at with your charging at a glance, with this easy-to-read light display. When automakers drop an electric powertrain into an existing vehicle, usually the electric model can’t compete with the original. 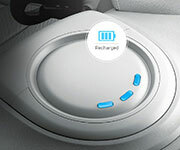 Sometimes that’s because the battery takes up valuable interior space and the extra weight can compromise performance. You won’t find those issues in the 2017 Kia Soul EV, though, so if you want to go electric now is the time.